"Skin To Bone" is the ninth song off of Linkin Park's fifth studio album, Living Things. 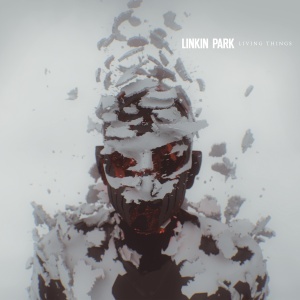 Chester Bennington talked about how many of the songs on Living Things started out as "hippie folk songs", but eventually became these heavier electronic songs, citing "Skin To Bone" as an example of that. Brad Delson talked about how the contrast of elements in "Skin To Bone" made it more interesting, stating "I should also mention with the folk songs, one of our goals as Linkin Park was, 'What can we do to make it relevant?' Rick really challenged us: 'Well, if it has a folk DNA and you just present it as a folk song, that's not adding anything to the conversation.' So with Skin To Bone, for example, none of those sounds are folk sounds, and what makes it interesting to me is the juxtaposition of the arrangement versus the identity of what that song is. I think that's what makes it unique." "Skin To Bone" officially got one remix, done by Nick Catchdubs. The track was released on Linkin Park's second remix album, Recharged, and featured new verses from Cody B. Ware, Ryu, and Mike Shinoda. Interestingly, Ryu's verse in the remix hints at the return of Fort Minor, which did indeed occur in 2015, with the release of "Welcome", which Ryu had recorded a verse for. Features vocals by Cody B. Ware and Ryu. "Skin To Bone" has never been played on its own before, but it plays a core part in Mike's solo, making up a large part of the instrumental for the first half. Mike also frequently rapped his verse from Nick Catchdubs's remix after the chorus of "Remember The Name" from KFMA Day 2014 to Orlando, 2015. However, once the band dropped "Mike Solo" at their performance in Mexico City, the only part of "Skin To Bone" played live was dropped as well. I ain't even gotta match them, I'm just letting them burn! I'm, I'm, I'm just letting them burn! This page was last edited on 1 December 2016, at 00:53.